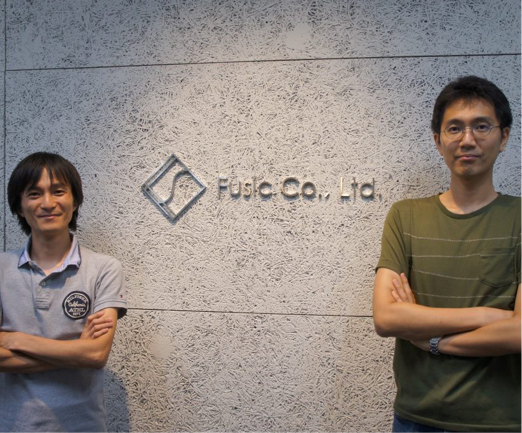 Backlog Case Study: Fusic Co.,Ltd. Fusic is a technology consulting firm specializing in software development for web systems and smartphone applications. They also a certified consultant for Amazon Web Services cloud infrastructure. Backlog facilitates collaborative project management with their clients to keep everyone on the same page. Fusic’s development team had an outdated and inefficient process for managing tasks. They were relying on emails and spreadsheets to track work from clients, and things were getting messy. Backlog allowed them to easily communicate project progress with clients. With 100% of all development and consulting work taking place in-house, Fusic needed a reliable way to keep track of projects—sifting through Excel spreadsheets simply wouldn’t do. They tested various project management tools, but found that their clients struggled with the complicated user interfaces. With a relatively large number of clients never having used project management software, they needed a tool that was easy to learn. We work with a large number of clients who have never used project management tools before. We tested other pm tools, but the UIs were too complicated for everyone to master. Backlog offered both functionality and intuitiveness. Backlog has become an essential function for making Fusic’s projects run smoothly. They have integrated Backlog in almost every facet of their business, from tracking issues to collaborating with customers. They chose Backlog for a modern approach to managing projects and have witnessed their efficiency skyrocketed because of it. Their clients were able to master Backlog from account creation to project participation using their very own operational practices. Communication and collaboration not only blossomed with clients but also internal teams. The development team extended Backlog’s task management abilities to employee training. They created assignments for new hires that evaluated technical and problem-solving skills, as well as test how they work in a team.